56 Congressional delegates signed the Declaration of Independence. The bulk of it's crafting fell to three of our Founding Fathers. Ben Franklin was 70 years old at the time. He was also the oldest signer. It's principal author, Thomas Jefferson was only 33. 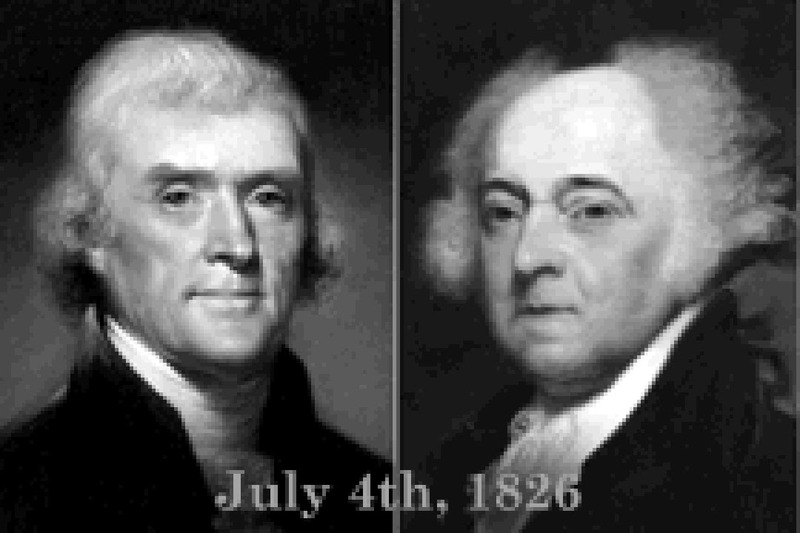 Adams and Jefferson later became bitter political enemies. It was not lost on them what they had been a part of. They rekindled their relationship and exchanged many letters. words reportedly, "This is the Fourth..."
These two men.....Allies. Enemies. Friends. Died 50 years to the day after the signing. "Coincidence is God's way of remaining anonymous..."